INCREDIBLY well written blog posting reminding sellers that SELLING should be their goal, and ways to achieve that closing day sooner rather than later. As agents, we want to help you sell your home, but it takes teamwork! 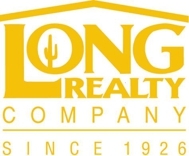 If you are thinking of selling your Tucson, Marana, or Oro Valley home in the near future, take a little read below - you'll be glad you did! There’s a certain thrill and excitement once the decision is made to sell your home, and you start the process. And when you go live online, wow what a feeling when reality sets in that this is happening and the steady stream of interested buyers coming to tour your home begins. While many sellers do all the right things to prepare for the market and get their houses sold quickly, some sellers sabotage their sale. And although this may not be intentional, or even something you are aware is happening, there are things some sellers do that make it tough for their homes to sell. You can’t control the market or the location, but these traps are definitely something you can do something about. It goes without saying, but we’ll say it anyhow - pricing your home may be one of the most important things you must do to get your home sold. And if you hold out for a price that just does not reflect the local market conditions and demand, and in light of other issues like condition and location, you are sabotaging your sale. Oh, you might want more money because of all the upgrades, or because you need it for buying a new and larger home. Perhaps you are living under the illusion that Zillow’s estimate of value is the gospel despite all evidence to the contrary. But what’s value in your eyes is not necessarily value to buyers. Your home may be pristine and in a great location, but overpricing will kill your chances of selling. If it’s hard for buyers and their agents to come tour your home, then it’s hard to sell it. Make sense? First the showing instructions need to be clear, not clear as mud as they sometimes are (that can be partly the agent’s fault), and you have to be as flexible as possible regarding times and days you permit showings to take place. Yes, life makes it tough – kids, working at home, family visiting, dogs to be walked, laundry to do, etc. But if your goal is to sell your house then you need buyers to see it. There’s a good chance your normal lifestyle will have to be adjusted in order to allow as much access as possible. Selling your home is really not about your convenience but about buyers…within reason, of course. Do you REALLY need 24 hours notice? The home can only be seen 3 days a week between 3 and 4 pm? Put yourself in the buyers’ shoes…would the schedule you are imposing make you feel good? And there are other access issues that could sabotage your sale, such as a front door that doesn’t work well, a locked interior door just inside the main door (e.g., screen door) without a key, a lockbox key that is a problem, one or more locked rooms (say, a teenager’s) or closets/storage rooms, and, unfortunately your pets. More on that in a moment. The condition of your home says a lot to buyers, and you don’t want the message to be the wrong one. Message 1 - the home is poorly maintained inside with lots of obvious repairs including leaks, holes in screens, badly stained carpet, cracked and chipped tiles. Message 2 – you will need to spend a lot of money to fix up the yard so it’s usable. Message 3 – the storage is horrible (every closet is filled to the brim and the garage is inaccessible due to an abundance of stuff!). The wrong messages go on and on, and your sale has been sabotaged! Failure to recognize these issue, even if you have been living with them will impact your home sale. You love to cook, and you love your pets. But the resulting smells can really knock buyers for a loop and send them running for the door. Perhaps you are a smoker and indulge inside, and have for some time. More sabotage. You live with these and other smells day in and out and likely don’t notice. But I can tell you buyers sure will and they won’t like it. Now maybe you decide to light every scented candle in the house for showings, stick those scenty things in all the receptacles, or place dishes of pungent (i.e., smelly) potpourri in every room. Sorry, but while you have good intentions, in my experience that is likely to not go over well. Not only are these smells also offensive to many but they prompt buyers to wonder….what ARE the sellers covering up? Address the smells before you go on the market. Face the facts that not everyone loves dogs and cats, even though you dote on yours! I get that…I do too. But many buyers do not want to be accosted by your so-called friendly pooch who may or may not bite and who doesn’t stop barking, or being responsible to make sure your cat does not escape. And while putting your big dog in the back yard or garage is an easy solution for you, it isn’t for the buyers who want access to see the garage or explore the yard. And those reminders that you have pets – smelly cat litter boxes, dog beds and bowls, dog piles in the yard – are yet another way to sabotage your sale. Is your home overflowing with too much furniture, knick knacks and collectibles, books, toys, and more? Is it hard to see the tops of your kitchen counter, your fireplace mantle, or bookshelves? Is it hard to see that beautiful fireplace because of all the stuff on it and around it? Are large picture windows hidden behind massive drapes and blinds? Buyers want to be able to SEE your house, and envision themselves living there, and it’s tough to do that when there is too much stuff. Not only can they not see all the space but the rooms will feel smaller when filled with furniture. It might also suggest storage is limited, and if your closets are overflowing, that solidifies the message about storage limitations. Your first public open house is online, as soon as your listing goes live and it picked up by all kinds of websites. Buyers love photos, good ones that is. They will make buyers want to see your home versus those that make them click to the next listing. Much of this is in your control, by making sure your home will look great online in the photos – see what was discussed about “stuff” above. Since you live with your house everyday it can be tough to see it through the eyes of a potential buyer – get some professional assistance through a staging professional; take some photos yourself so you can see how the rooms look via camera and adjust accordingly. Well done photography will probably not mask issues that should be addressed before photos are taken - a cluttered room, for example. That said, a beautiful room can be compromised if the photo itself is bad – crooked, dark, out of focus. Either way, your sale could be sabotaged through bad photos. You want your home to look its best - LIKE BELOW - so be sure it’s truly show-ready for the camera and that the resulting photos are top notch, whether done by your agent or a professional (I prefer the latter). No one will deny that getting a house ready for sale, and then going through the process of showings until you have a contract, is easy. It’s downright tough! But beware of these subtle, and perhaps not so subtle, traps that may keep you in your home instead of getting to closing and moving on with your life. Thanks so much for the reblog - I'm flattered that you felt it worthy. I suspect we all run across these issseus often! Cara - Great choice for a re-blog. It is important that home sellers realize they are working with their agent to get their home sold, and they have to work in unison to get the things done that are going to help sell their home.